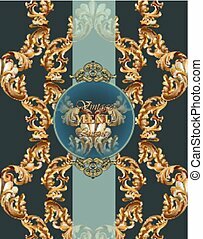 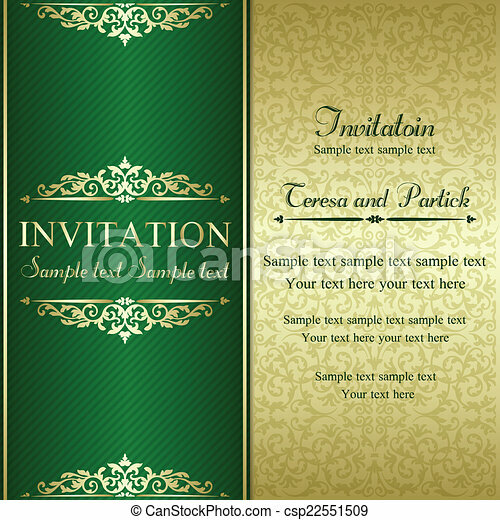 Baroque invitation, gold and green. 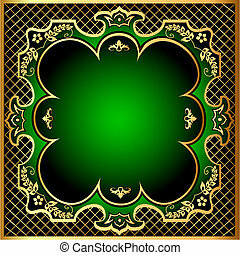 Baroque invitation card in old-fashioned style, gold and green. 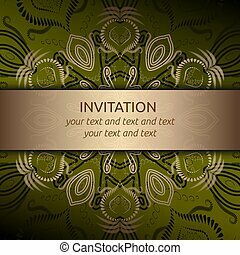 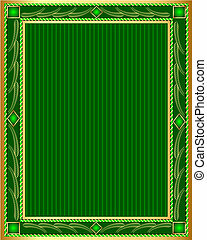 Invitation vector card in green with gold ribbon and pattern. 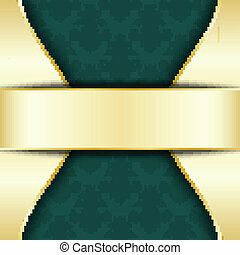 Retro style Royal invitation in classic design. 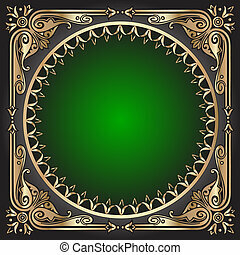 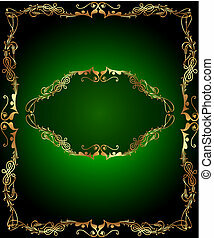 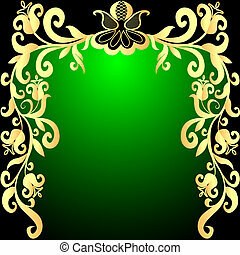 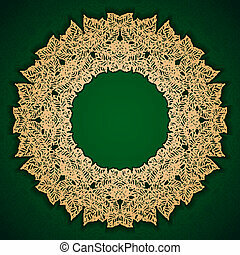 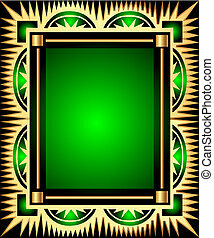 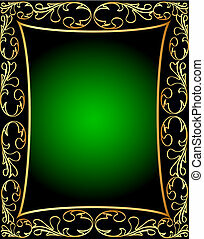 Vector Invitation card with golden classic royal ornaments in green and gold. 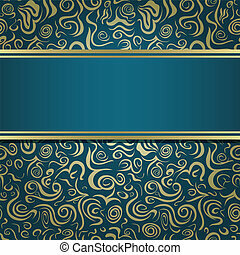 Square card layout with rich golden pattern and ribbon. 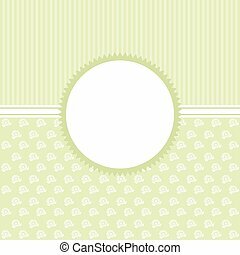 Template for save the date, banner, brochure, poster. 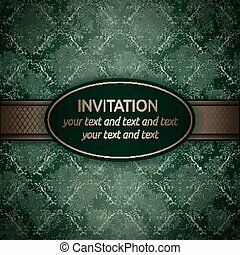 Invitation card in an vintage-style green. 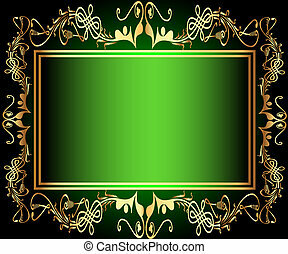 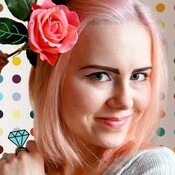 Vector card.